•1956 - 1958 James R. Sheppard, Jr. In May of 1881, our founders first gathered to worship in Llano. Later, in January 1893, the land where we meet today was deeded to First Presbyterian Church by Mr. J. Duff Brown, Jr. The original building was erected shortly thereafter. A few years passed and we expanded the original sanctuary building with the classroom addition. We use the original building today, little changed from its original form. The 1880 Federal Census records that the town had five retail merchants, two livery stables, a blacksmith, a lumber yard, two hotels, three physicians, two druggists, two butchers and three saloons. Three churches had been organized: Methodists, Lutherans, and Baptists. 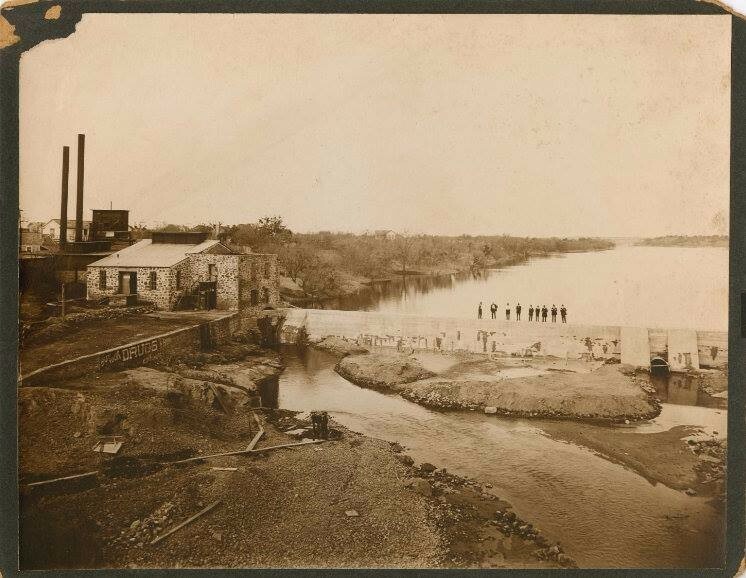 Our Church history goes back to a time when Llano was part of the Texas frontier. In 1873, the Packsaddle Indian Battle was fought and was still fresh in residents' memories. Lawlessness and shootouts were still common. 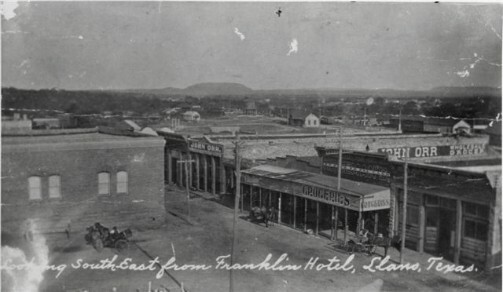 In 1882, the Carter-Coggins family feud erupted with bullets flying in downtown Llano, leaving both dead and wounded. Then, in 1889, two ex-sheriffs battled each other on Main Street right at the courthouse square. Such were the times in Llano when our little church was founded. 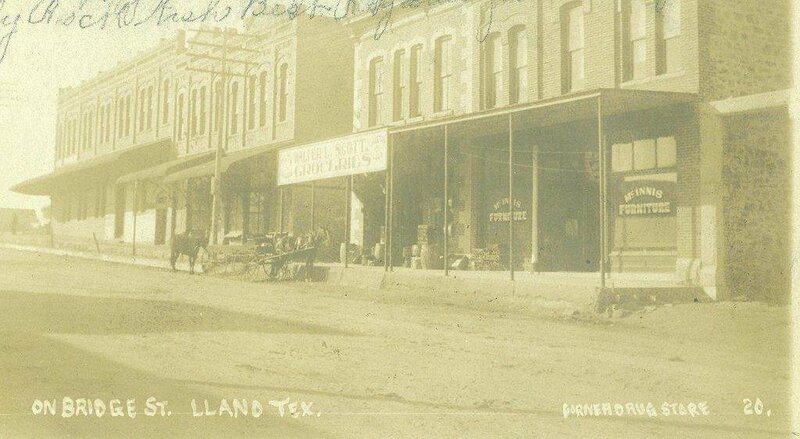 Susie Kuntz Stewart, wife of Elmon D.
Right: An early day Llano picture showing our early member's establishment, W. McInnis Furniture, far right. the building, far left, with covered walk is at this time, vacant. The upper floor was once Llano Hospital. Bridge Street was renamed Ford Street..